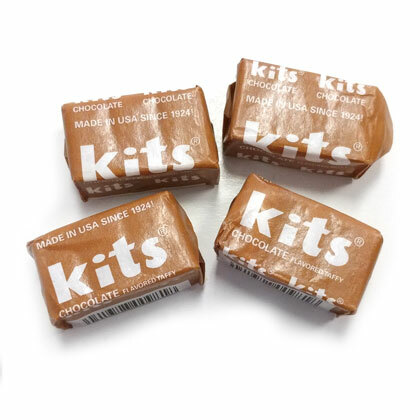 Kits old fashioned taffy chews in chocolate flavor. Approx. 17 pieces per 8 ounce bag. Made in USA. Individually wrapped.